Henry Audio introduces latest version of USB DAC 128 | What Hi-Fi? Norwegian manufacturer Henry Audio has announced the launch of its new USB DAC 128 mk II, which is billed as a "compact, elegant and robust digital-to-analogue converter" and is designed to deliver "superior audio performance". The device is an upgraded version of the company's original USB DAC 128, supporting high-res music files up to 192kbps on Windows, Linux and Mac-powered machines – though high-res "is not guaranteed on Windows XP". According to Henry Audio, the analogue part of the USB DAC 128 mk II looks to put "equal focus on three areas with fundamental influence on audio quality" – including the AKM4430 DAC chip from Asahi Kasai. The clock has been built using two crystal oscillators from Golledge, while the power supply uses low-noise regulators supplied by Analog Devices. An asynchronous USB protocol is employed – available in both USB Audio Class 1 and 2. 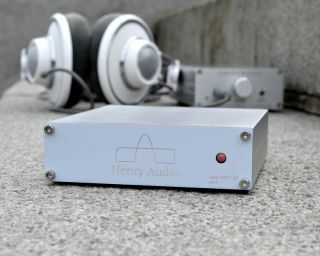 A Henry Audio spokesperson said: "The USB DAC 128 mk II is designed in such a way that tinkerers can easily modify it and learn from its construction. "But regardless of its heritage, the USB DAC 128 mk II is a fully functional hi-fi component, and will work right out of the box. The vast majority of buyers have no intention – and absolutely no need – to ever modify the DAC." The new DAC 128 mk II costs £210.